Remember: These concerts are already over! Interested in hosting us at your current event? Stop by our booking page. Time: 6:30 PM. Address: 1275 Emerald Road. Venue phone: 419.399.5061. Time: 7:00 PM. Address: 201 S 5th Street. Venue phone: (605) 432-4766. Time: 6:30 PM. Address: 9997 Dawson Springs Road. Venue phone: 270-886-4671. Time: 6:00 PM. Address: 101 Bragg Circle. Venue phone: (931) 455-3510. Address: 811 E Clark Blvd. Venue phone: (615) 893-0338. Time: 7:00 PM. Admission: $25. Address: 826 N. 8th Street. Time: 6:30 PM. Address: 400 Salem Drive. Venue phone: 715-682-3934. Time: 6:00 PM. Address: 3107 Lee Blvd. Venue phone: (239) 369-8645. Time: 3:00 PM. Address: 1643 Stenstrom Road. Venue phone: (863) 773-2858. Time: 6:30 PM. Address: 332 Palms Estate Road. Venue phone: (863) 655-1466. Time: 7:00 PM. Address: 10306 John Wycliffe Blvd. Venue phone: (407) 852-3800. Time: 6:00 PM. Address: 6901 Bee Ridge Road. Venue phone: (941) 377-2737. Time: 10:00 AM. Address: 8751 Fruitville Road. Venue phone: (941) 371-3071. Time: 7:00 PM. Address: 4886 Co Rd 472. Venue phone: 352-748-1201. We reserve the month of January for rest and work on our next CD project! Time: 10:00 AM. Address: 210 Central Dr W. Venue phone: (320) 232-3034. Time: 6:00 PM. Address: 601 14th Street. Venue phone: (218) 879-5749. Time: 6:00 PM. Address: 405 2nd St NW. Venue phone: (320) 384-6267. Time: 6:30 PM. Address: 1050 10th Ave. Venue phone: 320-564-2221. Time: 7:00 PM. Address: 701 Locust Street. Venue phone: (507) 248-3888. Time: 6:00 PM. Address: 1906 Myall SW. Venue phone: (580) 226-0682. Time: 6:00 PM. Address: 408 Colorado Avenue. Venue phone: (405) 263-7311. Time: 7:00 PM. Address: 119 E Stumbo Avenue. Venue phone: (405) 547-2004. Time: 7:00 PM. Address: 220 N. Seminole. Venue phone: 918-341-1429. Time: 7:00 PM. Address: 424 East Warner Avenue. Venue phone: (405) 282-3914. Address: 5799 County Road 6. Venue phone: 763-389-3169. Time: 1:00 PM. Address: 108 Chatfield Ave. NW. Venue phone: 507-765-4960. Time: 7:00 PM. Address: 12986 Co Hwy 15. Venue phone: 218-439-3255. Time: 7:00 PM. Address: 1002 10th Street S. Venue phone: 701-237-6094. Time: 10:15 AM. Address: 122 S Main Street. Venue phone: (320) 573-2672. Time: 6:00 PM. Address: 822 Marias Saline Road. Venue phone: 870-364-4331. Time: 7:00 PM. Address: 218 E Texas Street. Venue phone: (870) 342-5808. Time: 7:00 PM. Address: 1196 Desoto Boulevard. Venue phone: (501) 922-5700. Time: 12:00 PM. Address: 11530 Arkansas 135. Venue phone: (870) 586-0319. Time: 5:00 PM. Address: 102 E Church Street. Venue phone: 641-755-2227. Time: 6:00 PM. Address: 22429 US Hwy 6. Venue phone: (712) 322-2008. Time: 6:30 PM. Address: 715 N 16th Street. Time: 7:00 PM. Address: 1311 E 18th St. Venue phone: (712) 262-5598. Time: 7:00 PM. Address: 45268 Brunswick Road. Venue phone: 763-689-5817. Time: 9:30 AM. Address: 202 East Kendall Street. Venue phone: (507) 549-3166. Time: 6:00 PM. Address: 2080 Woodlynn Avenue. Time: 6:00 PM. Address: 303 Monroe Street. Venue phone: (515) 822-4833. Time: 6:30 PM. Address: 419 North Delaware. Venue phone: 641-423-0438. Time: 10:00 AM. Address: 1694 Highway 152. Venue phone: (641) 342-6603. Address: 2114 W. 140th Street. Time: 9:00 AM. Address: 105 Horn Street. Venue phone: 920-756-3031. Address: Hilbert Civic Park, Highway 57. Time: 6:30 PM. Address: 20 N Marr Street. Venue phone: (920) 921-4949. Time: 6:30 PM. Address: N7510 State HWY 114. Venue phone: (920) 989-5070. Time: 7:00 PM. Address: 38188 340th Street. Venue phone: (218) 495-3771. Time: 6:30 PM. Address: 1813 Fire Monument Road. Venue phone: (320) 384-6440. Time: 6:30 PM. Address: 1764 U.S. Hwy. 45 N. Venue phone: 906-544-2259. Time: 7:00 PM. Address: 101 West Main Street. Venue phone: (920) 855-6215. Time: 7:00 PM. Address: 10441 Highway 70 West. Venue phone: 715-356-3848. Time: 7:00 PM. Address: 645 James Street. Venue phone: +1 204-268-3305. Time: 10:30 AM. Address: 418 Gertrude Avenue. Venue phone: +1 204-268-2724. Time: 6:30 PM. Address: 4 Elizabeth Avenue. Venue phone: 218-879-3510. Time: 10:00 AM. Address: 4141 University Ave NE. Venue phone: (763) 789-4337. Time: 5:00 PM. Address: 105 Hosanna Drive. Worship services on Saturday evening and Sunday morning. Time: 6:00 PM. Address: 2248 313th Ave NE. Venue phone: (763) 689-3576. Time: 7:00 PM. Address: 803 Roy Street. Venue phone: (320) 839-3812. Time: 6:30 PM. Address: 1020 Millenium Drive. Venue phone: (701) 324-4985. Time: 7:00 PM. Address: 710 46th Ave NE. Venue phone: (701) 858-0677. Time: 6:00 PM. Address: 902 N Central Ave. Venue phone: (701) 385-3295. Time: 11:00 AM. Address: 615 10th St E. Venue phone: (701) 228-3727. Senior Potluck Picnic—public welcome! Time: 5:00 PM. Address: 57092 Wolf Creek Road. Venue phone: (320) 245-2813. Time: 6:30 PM. Address: 521 5th St N. Venue phone: (320) 857-2495. Address: 14300 W Burnsville Pkwy. Time: 6:00 PM. Address: 1100 Central Ave N. Venue phone: (320) 982-3217. Time: 4:30 PM. Address: W920 North Street. Venue phone: (715) 683-2886. Time: 7:00 PM. Address: 20296 State Road 87. Venue phone: 715-488-2296. Time: 4:00 PM. Address: 811 E Clark Blvd. Venue phone: (615) 893-0338. Time: 7:00 PM. Address: 101 Bragg Circle. Venue phone: (931) 455-3510. Time: 7:00 PM. Address: 2640 Buckner Rd. Venue phone: (615) 791-1880. Time to be determined! Time: 6:30 PM. Address: 2300 TN-96. Venue phone: (615) 446-2332. Time: 7:00 PM. Address: 4795 N Hwy 94. Venue phone: 636-250-3350. Time: 7:00 PM. Address: 32405 Business Rte. 36E. Venue phone: 660-385-4433. Time: 7:00 PM. Address: 2151 S Jefferson Street. Venue phone: (816) 628-5583. Time: 6:00 PM. Address: 10306 John Wycliffe Blvd. Venue phone: (407) 852-3800. Held at the Volunteer Center. Time: 6:30 PM. Address: 332 Palms Estate Rd. Venue phone: (863) 655-1466. Time: 6:30 PM. Address: 38634 Co Rd 54. Venue phone: (813) 782-0880. Time: 7:00 PM. Address: 7401 Winkler Road. Time: 6:00 PM. Address: 1201 N Main Street. Venue phone: (281) 485-7346. Time: 2:00 PM. Address: 1346 N Cesar Chavez Road. Venue phone: 956-78-2024. Concerts at 2 PM and 7 PM. Time: 6:30 PM. Address: 922 Lutheran Church Rd. Venue phone: (254) 547-3498. Time: 7:00 PM. Address: 309 Holden Ave. Venue phone: (218) 583-2161. Time: 4:00 PM. Address: 302 NE 2nd Street. Venue phone: 763-682-1883. Time: 7:00 PM. Address: 6514 E 750 N. Venue phone: 260-597-7366. Time: 7:00 PM. Address: 1029 Grandview Road. Venue phone: (814) 677-4484. Time: 7:00 PM. Address: 402 Hancock St. Venue phone: (814) 684-3958. Address: W2894 Granton Road. Venue phone: 715-238-7422. Time to be determined! Time: 3:00 PM. Address: 10441 Highway 70 West. Venue phone: 715-356-3848. Address: 6111 Fleur Drive. An exciting weekend of 20 groups, great food and wonderful fellowship—all at the Holiday Inn (Airport) in Des Moines! Time: 7:00 PM. Address: 605 Birch Ave. Venue phone: 320-763-3680. Concert for the Minnesota Assemblies of God Senior Retreat. Time: 6:30 PM. Address: 124 4th St N. Venue phone: (320) 352-5356. Time: 7:00 PM. Address: 822 Marias Saline Road. Venue phone: 870-364-4331. Time: 6:30 PM. Address: 1812 Rains St. Venue phone: (870) 935-2001. Time: 7:00 PM. Address: 11530 Arkansas 135. Venue phone: (870) 586-0319. Time: 10:15 AM. Address: 419 North Delaware. Venue phone: 641-423-0438. Time: 6:30 PM. Address: 426 Maple Ave. Venue phone: (217) 322-4113. Address: 105 Horn Street. Venue phone: 920-756-3031. Worship services on the evening of 8/16 and the morning of 8/20. Time: 6:00 PM. Address: 1235 Park Street. Joint concert with Sweetwater Revival! Time: 6:30 PM. Address: 8327 Interlachen Rd. Venue phone: (218) 963-9733. Time: 10:00 AM. Address: 7121 Bloomington Ave S. Venue phone: (612) 869-2500. Time: 9:30 AM. Address: 240 S. Howell St.. Venue phone: 517-437-2151. Worship services at 9:30 and 11 AM. Time: 7:00 PM. Address: 605 S Center Street. Venue phone: (574) 546-2332. Time: 6:30 PM. Address: 530 22nd Ave NW. Venue phone: 701.852.6492. Time: 7:00 PM. Address: 1020 Millenium Drive. Venue phone: (701) 324-4985. Address: 301 1st St SW. Venue phone: (701) 628-3339. Time to be determined! Time: 5:30 PM. Address: 105 Hosanna Drive. Worship service times at 5:30 PM (Saturday), 8 AM, 9:30 AM, and 11 AM (Sunday). Time: 7:00 PM. Address: 9778 Route 322. Venue phone: (814) 678-0004. Time: 7:00 PM. Address: 1000 Noe Bixby Road. Venue phone: (614) 866-7755. Time: 10:00 AM. Address: 20296 State Road 87. Venue phone: 715-488-2296. Time: 4:00 PM. Address: 16241 County Road 14 NE. Address: 14300 W Burnsville Pkwy. Times pending! Time: 4:00 PM. Address: 1050 10th Ave. Venue phone: 320-564-2221. Time: 6:00 PM. Address: 620 Fourth Street. Venue phone: 940-549-2360. Time: 7:00 PM. Address: 3000 Northwest Loop. Venue phone: (254) 968-2710. Time: 7:00 PM. Address: 182 Old Austin Road. Venue phone: 512-556-3514. Time: 6:00 PM. Address: 408 Colorado Ave. Venue phone: (405) 263-7311. Time: 10:00 AM. Address: 503 Polk Street. Venue phone: (763) 421-8124. Time: 10:00 AM. Address: 750 Northwest 23rd Lane. Venue phone: (863) 763-5042. Time: 6:30 PM. Address: 4060 Co Rd 108. Venue phone: (352) 748-2392. Time: 6:30 PM. Address: 553 Ashmoor Ave. Venue phone: (270) 843-9595. Time: 7:00 PM. Address: 214 Vaughn Ave.
Time: 5:00 PM. Address: 9997 Dawson Springs Road. Venue phone: 270-886-4671. Time: 6:30 PM. Address: 101 Bragg Circle. Venue phone: (931) 455-3510. Time: 7:00 PM. Address: 2640 Buckner Rd. Venue phone: (615) 791-1880. Time: 7:00 PM. Address: 2012 E Reelfoot Avenue. Venue phone: (731) 885-9562. Time: 10:00 AM. Address: 1800 8th Street. Venue phone: (763) 441-2080. Time: 3:00 PM. Address: 1196 Desoto Boulevard. Venue phone: (501) 922-5700. Time: 7:00 PM. Address: 823 W. 4th Street. Venue phone: 870-946-1390. Time: 5:00 PM. Address: 303 S Grove Street. Venue phone: (816) 628-5693. Joint concert with 4 His Love and TIm Lovelace! Doors open at 4 PM. Time: 7:00 PM. Address: 12397 Natural Bridge Rd. Venue phone: (314) 291-2395. Time: 6:00 PM. Address: 304 N Fairview Drive. Venue phone: (507) 283-8600. Joint concert with The Benson Family (at 3 PM) and the Master’s Voice Quartet (at 4 PM)! Supper is at 5 PM and The Garms Family will sing at 6 PM. Time: 7:00 PM. Address: 1815 38th St NW. Venue phone: (507) 206-3048. Time: 7:00 PM. Address: 903 E 2nd St. Venue phone: 715·536·7322. Time: 6:00 PM. Address: 1970 New Valley Road. Venue phone: (717) 957-4573. Time: 7:00 PM. Address: 2055 Middle Bellville Rd. Venue phone: (419) 756-3436. Time: 7:00 PM. Concert on Saturday at 7 PM and worship service on Sunday at 10:30 AM. Time: 6:30 PM. Address: 1331 Hobart Street. Venue phone: 641-236-5667. Address: 2114 W. 140th Street. Times forthcoming! Time: 7:00 PM. Address: 105 Horn Street. Venue phone: 920-756-3031. Time: 9:00 AM. Address: 21590 MN-47. Venue phone: (320) 684-2123. Time: 7:00 PM. Address: 204 2nd St NW. Venue phone: (701) 636-4692. Time: 10:30 AM. Address: 419 1st St NW. Venue phone: (218) 631-2896. Time: 7:00 PM. Address: 3000 35th Ave. Venue phone: (970) 330-2485. Time: 7:00 PM. Address: 709 E. Riverview Ave. Hosted by Trinity Lutheran Church of Fort Morgan. Address: 855 E 5th Street. Venue phone: (785) 462-2497. Time pending! Time: 7:00 PM. Address: 218 W 2nd Street. Venue phone: (785) 765-3632. Time: 5:30 PM. Address: 105 Hosanna Drive. Worship services at 5:30 PM on Saturday and 8 AM, 9:30 AM and 11 AM on Sunday. Time: 7:00 PM. Held at the ’52 Wing Appleton High School. Time: 6:00 PM. Address: 4713 County 140 Road SE. Venue phone: 507-533-8680. Time: 6:30 PM. Address: 2248 313th Ave NE. Venue phone: (763) 689-3576. Time: 7:00 PM. Address: 726 Fergus Ave. Venue phone: (218) 842-5205. Time: 10:30 AM. Address: 4580 S Arrowhead Lane. Venue phone: 218-485-4192. Time: 6:00 PM. Address: 21 S. Baird Ave.. Venue phone: 715-362-2470. Time: 3:00 PM. Address: 28 9th Street. Concert held at Mason’s Ridge Banquet Hall. Time: 6:30 PM. Address: 803 Roy Street. Venue phone: (320) 839-3812. Time: 10:00 AM. Address: 5825 Kelvin Ave. N.. North Central Evangelical Free Church Senior Celebration — Concert at 10 AM and special segment at 1 PM. Time: 6:30 PM. Address: 715 N 16th Street. Council Bluff Gospel Concert Series. Time: 7:00 PM. Address: 1101 N 4th St. Venue phone: (580) 762-1111. Time: 4:00 PM. Address: 826 N. 8th Street. Men of Harmony Gospel Concert Series. Time: 7:00 PM. Address: 522 North Main Street. Venue phone: 320-245-2459. Time: 3:00 PM. Address: 38 Wayah Street. Venue phone: (828) 524-5996. Time: 6:00 PM. Address: 5759 Bolick Road. Time: 6:30 PM. Address: 2535 Jefferson Road. Venue phone: 706-546-1280. Time: 7:00 PM. Address: 211 S 21st Street. Venue phone: (270) 442-8343. Time: 6:30 PM. Address: 338 Main St. West. Venue phone: 320-836-2997. Christmas banquet at 5:30 PM and concert around 6:30 PM. Time: 6:00 PM. Address: 950 Missouri 47. Venue phone: (636) 456-2888. Time: 2:00 PM. Address: 4200 Old Warren Road. Venue phone: 870-534-4316. Time: 7:00 PM. Address: 319 HWY 278 E. Venue phone: 870.574.0591. Time: 10:00 AM. Address: 4496 Walczak Rd. Time: 2:00 PM. Address: 5540 30th Ave S. Venue phone: (612) 724-3601. Time: 7:00 PM. Address: 41 E Possum Road. Venue phone: (937) 323-3688. Pending. Time: 4:00 PM. Address: 89 Line Road. Venue phone: 610-644-4508. Time: 7:00 PM. Address: 7811 135th St NW. Venue phone: (320) 599-4734. Time: 10:30 AM. Address: 900 13th Steet South. Venue phone: (320) 843-3521. Time: 7:00 PM. Address: 1462 165Th St. Venue phone: (515) 758-2483. Time: 6:00 PM. Address: 1335 Francis Street. Venue phone: (303) 776-2573. Time: 7:00 PM. Address: 1312 E. 10th Street. Venue phone: (308) 762-4663. Student assembly at 2:30 PM and public concert at 7 PM. Time: 6:30 PM. Address: 744 Harney Street. Venue phone: (605) 673-4361. Time: 7:00 PM. Address: 714 North Grand Avenue. Venue phone: 605-224-2216. Time: 7:00 PM. Address: 214 7th Avenue Southwest. Venue phone: 605-225-1847. Time: 5:00 PM. Address: 604 S. Chestnut Avenue. Venue phone: (715) 384-5121. Time: 3:00 PM. Address: 210 3rd Street Northwest. Venue phone: (515) 967-4286. Time: 10:00 AM. Address: 105 Horn Street. Venue phone: 920-756-3031. Time: 7:00 PM. Address: Hilbert Civic Park, Highway 57. The Garms Family sings at 7 PM on Friday, and at 10 AM & 7 PM on Saturday. Time: 7:30 PM. Address: 615 North I Street. Time: 9:30 AM. Time to be determined! Time: 9:30 AM. Address: 1101 7th Street. Address: 5051 NE 5th Street. Multiple groups — held at Heritage Christian Academy. Time: 5:30 PM. Address: 105 Hosanna Drive. Saturday Worship: 5:30 PM; Sunday Worship: 8:30 AM and 10:30 AM. Time: 10:30 AM. Worship services (10:30 AM and 4:00 PM), hosted by community churches, held at the Moose Lake Ice Arena. Time: 7:00 PM. Address: 3014 McKinley Street NE. Time: 3:00 PM. Concert held at Faith Baptist Church in Bayfield; hosted by Seagull Bay Motel. Time: 6:30 PM. Address: 205 E. 8th Street. Time: 6:00 PM. Address: 715 N 16th Street. Box office: (800) 965-9324. Address: 14300 W Burnsville Pkwy. 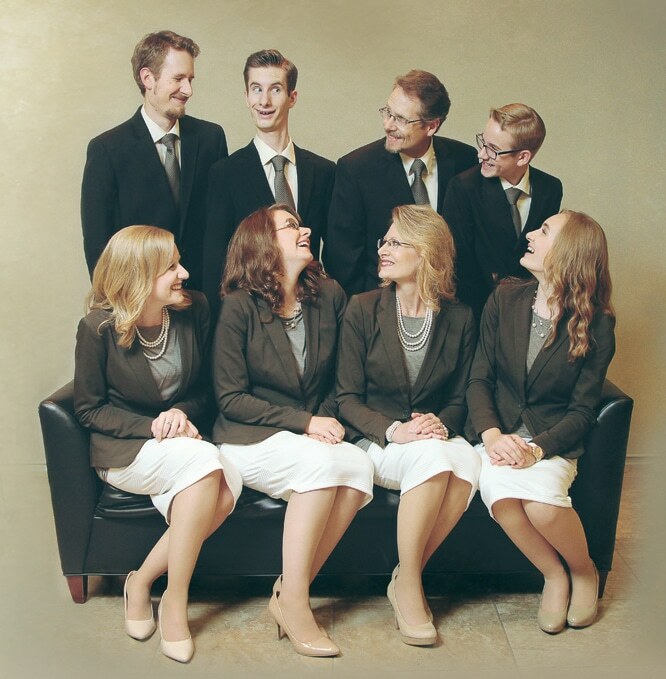 The Twin Cities Quartet Convention is held at Discover Church; we will be singing on Saturday. We are reserving this date to attend the Booth Brothers’ concert in Bloomington, MN. Visit www.MusicfortheMaster.com for more information! Time: 7:00 PM. Address: 4850 E Main St. Venue phone: (317) 814-4252. Time: 5:00 PM. Address: 648 North LaFontaine Street. Venue phone: 260-356-6528. Worship services on April 11th at 5 PM and April 12th at 10:15 AM. Time: 7:00 PM. Address: 3601 South Duncan Road. Venue phone: (217) 355-0454. Time: 2:30 PM. Address: 498 4th Avenue Northeast. Venue phone: 712-278-2245. Ireton Christian School Bluegrass Concert; also featuring The Harper Family. Address: 410 S. Central Avenue. Venue phone: 507-962-3254. Time: 1:30 PM. Address: W5334 Dassow Avenue. Venue phone: (715) 748-4181. Time: 7:00 PM. Address: 1015 West Broadway. CLOSED EVENT! Time: 6:00 PM. Address: 8975 County Lane 170. Venue phone: (417) 358-1325. Time: 7:00 PM. Address: 1196 Desoto Boulevard. Venue phone: (501) 922-5700. Meal at 5:30 PM. Time: 6:00 PM. Address: 504 N James Street. Venue phone: (618) 965-3192. Address: 10960 Spring Valley Road. Venue phone: 815-772-3554. Time: 1:30 PM. Address: 1601 Highway 25 North. Venue phone: 763.682.1470. Time: 2:00 PM. Address: 113 Main Street W. Venue phone: 715-825-2453. Time: 2:00 PM. Address: 3560 265th Avenue. Time: 1:30 PM. Address: 5929 Brooklyn Boulevard. Singing for the Cross of Glory Seniors Christmas luncheon. Time: 3:30 PM. Address: 205 East 3rd Street. Venue phone: (715) 384-2292. Time: 6:30 PM. Address: N9498 1st Avenue. Time: 7:30 PM. Address: 2974 Iris Road. Time: 4:00 PM. Address: 855 E 5th Street. Venue phone: (785) 462-2497. Time: 7:00 PM. Address: 111 W Magnolia Rd. Venue phone: (785) 827-7492. Time: 7:00 PM. Address: 1348 Trailridge Road. Venue phone: (620) 342-3590. Time: 5:30 PM. Address: 105 Hosanna Drive. Worship services at 5:30 PM (10/25) and 8 AM, 9:30 AM, & 11 AM (10/26). Address: 209 North Main Street. Time: 7:00 PM. Admission: Advance: $8.00 / At Door: $10. Box office: (717) 264 5138. Address: 1151 McKinley Street. Venue phone: (717) 264 5138. Doors open at 6:00 PM! Time: 7:00 PM. Address: 1970 New Valley Road. Venue phone: (717) 957-4573. Time: 7:00 PM. Address: 2nd Marion Avenue. Time: 1:30 PM. Address: 221 6th St SW. Venue phone: (507) 642-3271. Time: 6:30 PM. Address: 1104 22nd Ave South. Venue phone: 57006. Time: 7:00 PM. Address: 601 North Cliff Ave. Venue phone: (605) 332-3401. Time: 6:00 PM. Address: 624 N Jay Street. Venue phone: (605) 225-7106. Time: 8:30 AM. Address: 1101 7th Street. Worship services at 8:30 AM and 10:45 AM. Time: 1:20 AM. Address: 2114 W. 140th Street. Multiple groups — we will be singing at 1:20 PM on Friday, August 22nd, and at 5:40 PM on August 23rd. Time: 3:40 AM. Address: Hilbert Civic Park, Highway 57. Multiple groups — we will be singing at 3:40 PM & 8:40 PM on Friday, August 15th, and at 7:20 PM on August 16th. Time: 2:00 PM. Address: 310 NW Ash Drive. Venue phone: 515.964.0146. Time: 5:45 PM. Address: 13007 Douglas Parkway. Festival held at the Des Moines Christian School with multiple groups. We sing on Friday, August 8th, at 5:45 PM, and at 10:20 AM & 7:10 PM on Saturday, August 9th. Time: 6:30 PM. Address: 38188 340th Street. Venue phone: (218) 495-3771. Time: 6:00 PM. Address: 2810 Mount Zoar Road. Time: 6:00 PM. Address: 504 N James Street. Venue phone: (618) 965-3838. Worship services at 6:00 PM (7/12) and 9:00 AM (7/13). Time: 7:00 PM. Community concert on June 14th at 7 PM and worship service on June 15th at 10:30 AM. Time: 10:15 AM. Address: 28053 360th Avenue. Venue phone: (218) 927-3678. Time: 3:00 PM. Concert held at Faith Baptist Church, Bayfield, MN and sponsored by the Seagull Bay Motel. Time: 6:00 PM. Address: 2535 Jefferson Road. Venue phone: 706-546-1280. Time: 7:00 PM. Address: 336 Carl Vinson Parkway. Venue phone: 478-922-1418. Time: 7:00 PM. Address: 7125 Fruitville Rd. We will be singing during the 2014 Laborers for Christ Redezvous at Sun N’ Fun Campground’s Pavillion; the public is welcome to attend the evening concert. Address: 8751 Fruitville Road. Venue phone: (941) 371-3071. Details forthcoming! Time: 6:30 PM. Address: 405 Sheila Drive. Venue phone: 270-885-3969. Time: 7:00 PM. Address: 2974 Iris Road. Time: 5:00 PM. Address: 5625 Franklin Avenue. We will be singing during the 5 PM service (3/8) and the 8 AM & 10:30 AM services (3/9)! Time: 4:00 PM. Address: 113 Main Street W. Venue phone: 715-825-2453. Time: 6:00 PM. Address: 338 Main St. West. Venue phone: 320-836-2997. Christmas banquet at 5:30 PM with concert following at 6:00-6:15 PM! Time: 5:00 PM. Address: 4100 Southeastern Ave.. Venue phone: (605) 371-1597. Time: 7:00 PM. Please note: All Ages. Address: 726 Fergus Ave. Venue phone: (218) 842-5205. Time: 3:00 PM. Address: 205 East 3rd Street. Venue phone: (715) 384-2292. Time: 7:00 PM. Address: 301 Chestnut St. Venue phone: (608) 375-5088. Time: 9:30 AM. Address: N9498 1st Avenue. Time: 6:30 PM. Address: N4584 Cty. Hwy 253. Venue phone: (715) 635-3496. Time: 10:40 AM. Address: 4335 NW 6th Drive. Time: 5:30 PM. Box office: 573.228.0134. Address: 6111 Fleur Drive. We’ll be singing at 5:30 PM on Friday and 12:00 PM on Saturday! Time: 10:00 AM. Address: 109 2nd Ave. Venue phone: 763-444-9201. Time: 10:30 AM. Address: 2263 3rd St. Venue phone: (651) 762-0525. Time: 10:15 AM. Please note: All Ages. Time: 1:00 PM. Please note: All Ages. Multiple groups – we’ll be singing on Friday at 1:00 PM and 7:00 PM and on Saturday at 1:00 PM! Time: 1:40 PM. Address: 2114 W. 140th Street. Held at the Wind Mill Ridge Campground. Multiple groups. We sing at 1:40 – 2:20 PM on Friday, and 5:40 – 6:20 PM on Saturday. Time: 9:00 AM. Address: 181 Main Street. Please note: All Ages. Address: Hilbert Civic Park, Highway 57. A fun festival with multiple other groups – be sure to join us for this uplifting event! Time: 6:30 PM. Please note: All Ages. Time: 4:00 PM. With multiple groups. Time: 10:00 AM. Address: 43353 Cedarcrest Trail. Time: 6:00 PM. Address: 306 River Street. Time: 10:00 AM. Please note: All Ages. Address: 401 W Main St. Venue phone: 218-924-2085. Time: 6:30 PM. Please note: All Ages. Address: 1813 Fire Monument Road. Venue phone: (320) 384-6440. Please note: All Ages. Community concert on June 29th and worship service on June 30th. Check back for more details! Time: 9:00 AM. Address: 205 East 3rd Street. Venue phone: (715) 384-2292. Time: 1:00 PM. Please note: All Ages. Address: 1120 E Division St. Venue phone: (715) 937-2669. Various groups; we’ll be singing at 1:00 PM and 5:00 PM. Time: 6:30 PM. Please note: All Ages. Address: 8327 Interlachen Rd. Venue phone: (218) 963-9733. Time: 9:00 AM. Address: 1111 11th Ave. West. We’ll be sharing an anthem during the worship service! Please note: All Ages. Address: 204 School St.. Venue phone: 320-978-8700. Time: 6:45 PM. Address: Tobies Restaurant. This Marriage Rally – held at Tobies Restaurant’s parking lot – begins at 7:00 PM, and we will be providing music at 6:45 PM. We’ll also close the rally. Time: 10:00 AM. Address: 16245 County Road 9 NE. Venue phone: 320-354-4637. We will be sharing a couple of songs during the worship service. Time: 7:00 PM. Please note: All Ages. Time: 9:30 AM. Please note: All Ages. Address: 903 6th Ave Court. Venue phone: (320)629-6551. Please note: All Ages. Address: 67331 St Hwy 23. Venue phone: 320-838-3733. Private event; not open to public. Time: 7:15 PM. Please note: All Ages. Address: 7398 Fairview Road. Venue phone: (218)829-5767. Valentine’s Banquet before concert. Time: 5:00 PM. Please note: All Ages. Address: 400 SE 8th Street. Venue phone: 320-396-3103. One song for Christmas Eve worship service (not a full concert). Time: 6:00 PM. Please note: All Ages. Special worship service with Pastor Steve Anderson. Time: 7:00 PM. Please note: All Ages. Annual Christmas Banquet; dinner starts at 6:00 p.m. and concert begins at ~7-7:30 p.m.
Time: 10:00 AM. Please note: All Ages. Address: 400 SE 8th Street. Venue phone: 320-396-3103. Special music for worship service. Time: 7:00 PM. Please note: All Ages. Address: 400 SE 8th Street. Venue phone: 320-396-3103. “Give Thanks” concert with several other local artists. Time: 10:00 AM. Please note: All Ages. Sunday morning worship service/harvest festival. Time: 6:30 PM. Please note: All Ages. Reschedule from August 26th concert cancellation…and Mom’s birthday! Time: 6:00 PM. Please note: All Ages. Time: 10:00 AM. Please note: All Ages. Time: 7:00 PM. Please note: All Ages. Venue phone: https://ourredeemerpinecity.ctsmemberconnect.net/home-ctrl.do?view=0&grpId=25031. Time: 5:00 PM. Please note: All Ages. Address: 3560 265th Avenue. Come along for an adventure and be the first to learn about new music, family updates, monthly concert alerts, and behind-the-scene photos and stories. We'd love to have you join the journey!